Paper • ISBN-13:9781608469543• US $16 • 5.5 in x 8.5 in• 69 pgs. 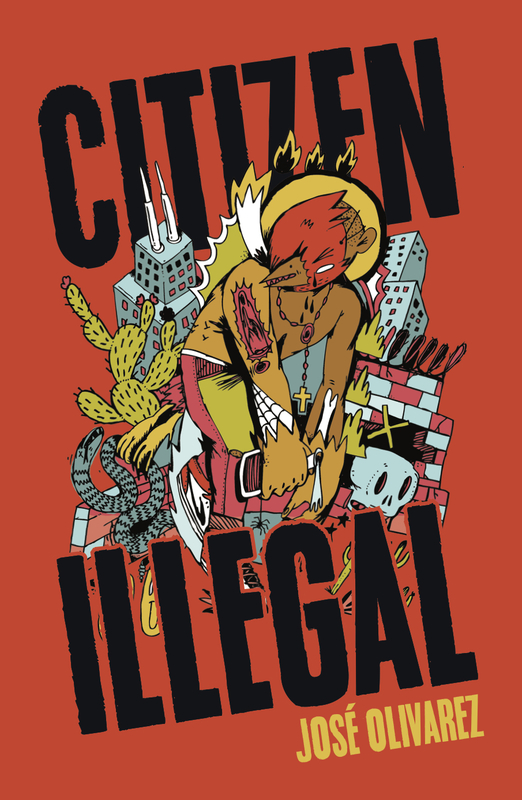 Citizen Illegal is a revealing portrait of life as a first generation immigrant, a celebration of Chicano joy, a shout against erasure, and a vibrant re-imagining of Mexican American life. In this stunning debut, poet José Olivarez explores the stories, contradictions, joys, and sorrows that embody life in the spaces between Mexico and America. He paints vivid portraits of good kids, bad kids, families clinging to hope, life after the steel mills, gentrifying barrios, and everything in between. Drawing on the rich traditions of Latinx and Chicago writers like Sandra Cisneros and Gwendolyn Brooks, Olivarez creates a home out of life in the in-between. Combining wry humor with potent emotional force, Olivarez takes on complex issues of race, ethnicity, gender, class, and immigration using an everyday language that invites the reader in. Olivarez has a unique voice that makes him a poet to watch. “In this collection of poems, Olivarez traces the lines between the country of his parents’ birth and the Mexican-American communities that have formed an integral part of Chicago’s identity. With equal measures of playfulness and razor-sharp critique, he writes of ‘gentefication,’ an imagined process in which the city’s neighborhoods are returned unto the hands that wrought them. José Olivarez is the son of Mexican immigrants. He is a co-host of the podcast, The Poetry Gods. A winner of fellowships from Poets House, The Bronx Council On The Arts, The Poetry Foundation, and The Conversation Literary Festival, his work has been published in The BreakBeat Poets and elsewhere. He is the Marketing Manager at Young Chicago Authors. Spanish in Latin America International Editors' Co., S.A.
Spanish in Spain International Editors' Co., S.A.
For all other languages/territories, please contact Roam Agency.